Rob graduated from the Royal Veterinary College in 1992 and came to work at the practice straight after qualifying. After many years as a mixed vet he is now a full-time large animal vet and our lead farm vet and director. His particular interests are in the areas of cattle medicine, fertility, nutrition and herd health. Outside of work Rob enjoys clay pigeon shooting and spending time with his family. Hannah qualified from Edinburgh University and spent 18 months in mixed practice in central England before moving to join us in January 2012. Of local origin and being from a farming background Hannah was not only already familiar with the area and the practice, but also with many of our farm clients. She became a Director in 2014. Like Rob, after initially being a mixed vet, Hannah is now a full time large animal vet spending her time on-farm and with horses having a specific interest in Herd and Flock Health, and created our Sheep club. Outside of work Hannah spends the majority of time farming and trying to control her young cocker spaniel 'Thistle'! Thaddeus graduated from Cambridge Vet School in 2010 and joined us at the end of 2013 having spent the previous three years working as a mixed vet in Norfolk. Working in Norfolk allowed him to gain experience in pig production medicine, but his desire to further his cattle work played a part in his move to the Midlands. Thad became a Director in 2017. Thad's interests are varied and professionally include small animal surgery, birds and sheep lameness. Out of work they include Guinea Pigs, American football, music, outdoor walking and skiing - and numismatics (coin, currency and medal collecting). David is one of our TB testers and joined Midshire Farm and Equine in February 2018. Fiona is a mixed vet, splitting her time between our large animal and small animal departments. She graduated from the University of Bristol summer 2018 to start her career with us. Fiona admits to enjoying all aspects of mixed practice, but is particularly interested in farm work. Fiona has two cats and when not at work enjoys the great outdoors. Angus joins us as a mixed vet Autumn 2018, having graduated from Glasgow in 2016. He worked in a mixed practice in West Wales for 2 years, enjoying both the large and the small animal side. He has a particular interest in Dairy management but says he really enjoys all aspects of being a mixed vet. Outside of work he is a keen squash player, and also spends his time waterskiing! Vili graduated from university in Romania in 2012. He worked as a mixed animal vet in south west Romania whilst also studying for a PhD. He joined us in January 2019 to work predominantly as a TB tester. When he's not at work Vili spends his time breeding fancy pigeons and looking after his little dog Sophie. 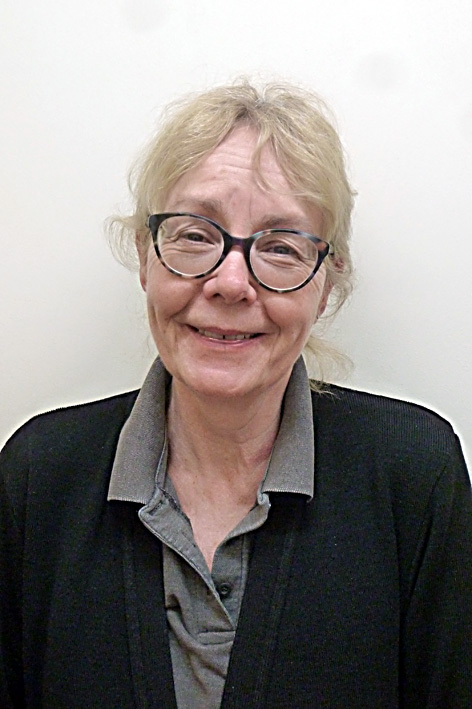 Debbie is our Administration Manager and one of our longest serving members of staff having spent many years working on reception as well as in our farm office. Debbie's love is people and she enjoys talking with clients and helping them as much as possible. She also now looks after the reception team keeping them happy and up to date with policies. Outside of work she likes to spend as much time with her grandchildren as possible as well as her foul-mouthed budgie (hopefully not at the same time!). Lauri has been a farm receptionist with us since 2015. Outside of work Lauri is a busy mum and likes to spend time with friends and family.